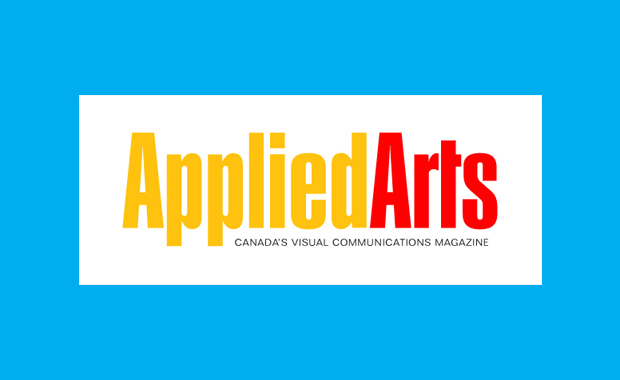 Applied Arts, Canada’s visual communications magazine has recently announced the Call For Entry for its 2013 Design Awards. Now in it’s 23rd year, the Applied Arts Design Awards celebrate the very best work produced throughout North America and abroad. Entries can be submitted in eight main categories, including: Design, Promotional Design, Editorial Design, Packaging Design, Broadcast Graphics, Typography Design, Typeface Design, Craft and Young Blood. Winners will be awarded extensive media exposure and Applied Arts Winners Certificates. All professional work from any country, first completed or published between February 2012 and March 2013 (but not entries that have been submitted into last year’s competition) is eligible for entry. In the highly-anticipated annual July/August Design Awards issue, complete with full credits. This gorgeous reference is kept and read by the Applied Arts readership of 46,000. On the very popular Design Winners gallery, which attracts more than 300,000 visitors annually, as well as the Applied Arts Awards Archive, featuring 10+ years of winning work. At the well-attended Winners’ Exhibit in Toronto, where AACE Winners will be announced in an evening of suspense and celebration. Lastly, all winners will receive a suitable-for-framing Applied Arts Winners Certificate, an enduring testament to your accomplishment. Each entry is judged by an independent panel of highly regarded industry professionals and experts, based on creative merit, technical excellence and suitability for end use. Discussion is not permitted and judges cannot vote on their own work. Craft Discount: For every entry in a DE, DP, ED, PD, TV, TD, DT or YB category, one Craft (CD) entry will be discounted $20.